The Current Health Scenario. : Patrick Soon-Shiong: Corporate Medical "Philanthropist"
Patrick Soon-Shiong: Corporate Medical "Philanthropist"
Patrick Soon-Shiong, the California health care billionaire, believes the United States is fighting a flawed war on cancer, “stuck in dogma.” His bracing critique caught the attention of Joe Biden and, more recently, Donald Trump, who met privately with Soon-Shiong twice during the transition, as he reportedly angled for a role in the administration. Soon-Shiong believes he has found a pathway to turning the disease into a manageable condition, commanding his own multibillion-dollar network of for-profit and nonprofit groups that combines health information technology with genomic testing. He compares himself to the world’s great medical philanthropists, saying he wants to emulate the highly respected Howard Hughes Medical Institute. But Soon-Shiong’s research foundation — called the Chan Soon-Shiong NantHealth Foundation, after his wife — hardly resembles the Howard Hughes or any other grant-making charity. A POLITICO investigation found that the majority of its expenditures flow to businesses and not-for-profits controlled by Soon-Shiong himself, and the majority of its grants have gone to entities that have business deals with his for-profit firms. The deals have raised alarms among some tax specialists, who question Soon-Shiong’s use of tax-free dollars to boost the bottom lines of his for-profit businesses. The deals also cast a sharp spotlight on the man who seeks to be the public face of emerging cancer treatments and a major player in Washington’s battles over federal research spending. • Soon-Shiong-controlled charities gave a total of $15 million — including $10 million from the NantHealth Foundation — to a fund that benefited Phoenix Children’s Hospital, which concluded a pair of deals with Soon-Shiong’s for-profit companies for many millions of dollars. In responses to POLITICO’s questions, Soon-Shiong defended his record of charitable giving and stated that many of his donations provided no tax benefit to himself. His not-for-profits have complied with tax law, he said. 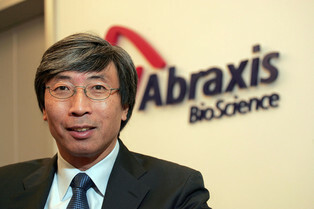 “All of these endeavors, including my charitable endeavors, are primarily done so with the hope that my efforts and my funds will work to reduce and even prevent the deadly consequences of multiple forms of cancer, as well as other debilitating and deadly conditions or diseases,” Soon-Shiong said. Yet tax experts express doubts about some of the arrangements. A South African émigré and former UCLA transplant surgeon, the 64-year-old Soon-Shiong has, in recent decades, become one of the richest men in medicine, with an estimated fortune of about $9 billion. He has increasingly taken on a public role, currying favor with politicians of both parties. He sat on the blue ribbon panel for Biden’s cancer moonshot, and touts his closeness to the former vice president, suggesting that he offered advice about the treatment of Biden’s son, Beau, and inspired the term cancer moonshot. In addition, his family foundation partnered with the Bill, Hillary and Chelsea Clinton Foundation, with Soon-Shiong sharing the stage with the former president on several occasions. Soon-Shiong and his wife and children gave substantially to Hillary Clinton’s presidential campaign in 2016. But that didn’t stop Trump, in his search for out-of-the-box policy thinkers, from sitting down with Soon-Shiong at both Trump Tower and Trump’s golf club in New Jersey during the transition, amid reports that Soon-Shiong was under consideration to be head of the National Institutes of Health or White House adviser. White House officials told POLITICO that Soon-Shiong is not currently a candidate for either post. JE Vaccine Drive: Why in 13 districts of Odisha? Letter from an Awakened Father to His Daughter. HPV Vaccine & Cancer Prevention: Check the facts! Getting Regular Flu Shots? You can get more flu! Vaccines Safe? Answer these 17 questions. Evidence Based medicine Does Not Follow Evidence! BABY-KILLING VACCINE: IS IT BEING STEALTH TESTED?